I had one of those lessons today where things went from amazing to stressful in about 30 seconds. Maybe stressful isn’t the right word. Challenging? Thought provoking? Riding is a sport where things can change pretty quick. As most sports are. However, this sport adds in the wild card of being seated on a 1200lb creature with a mind of it’s own, pointing it at a fence and saying lets get there and over it while keeping a steady pace, leaving from the exact right spot, and making a tight turn afterwards. As a rider you have to be able to react in a hundred different ways over a span of a few strides between jumps. 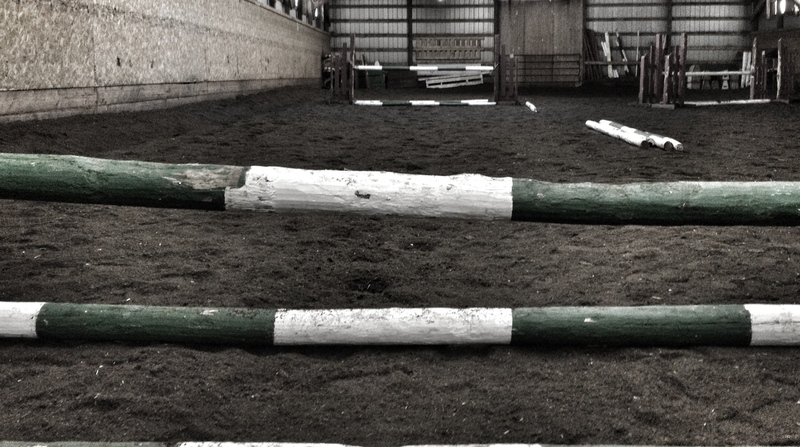 You have to keep that balance between aiding your horse enough, but not so much that signals get mixed. I’ve written about the role of trust before. The last time I wrote about it I was exercising steeplechasers in Napier, NZ. Every muscle in my body is sore and tired, and I’m way past the point of exhaustion. But I’m still saying yes to another ride out and smiling as the horse races up the hill on the way to the work out trail. In this kind if situation you have to be able to build the trust quickly. You don’t have months or years to build a relationship. 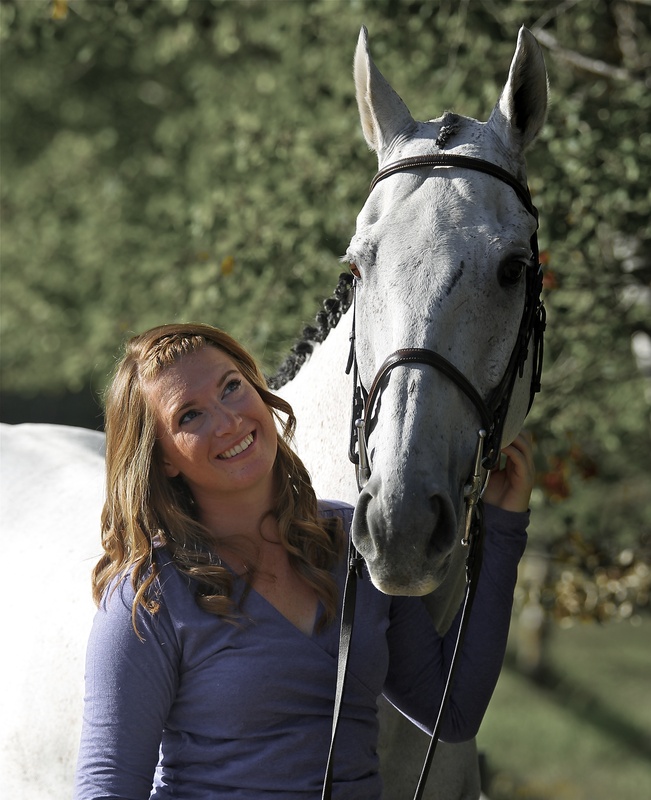 You have seconds, maybe minutes, to trust the horse you’re on and establish a confidence. Click here for more from that post..
Over the course of this competition season, Willard will be moving into the jumper ring more. This has been a long time goal for me, and I’m very excited for the new challenge. I’ve been working with M&C for a few years now, and have very high trust in their abilities as coaches. Tonight was one of those nights where things may not have gone as well if that trust wasn’t there. Lots of new challenges are being thrown my way this year, both within the sport and outside, and while I take them all on as best I can- I would not be able to do it alone. Will is a fantastic horse, with loads of potential- but right now he is still in that excitable spring thoroughbred phase that I’m pretty sure most horses that got 6 months off are in right now. You ask him to do a roll-back to a tiny oxer and he assumes we are in the jump off of the CN International. Drama queen. Through the exercises I worked on tonight with M&C, the issue of trust kept floating through my mind. For some reason there was a small communication issue at times between Will and I. Where he wanted to rush towards jump, I was saying hold on. Where he was saying lets make this turn tighter, I was saying lets go out one stride more. Where I was saying relax, he was saying “this is so exciting!!!!!!!!!!!”. These are all little things. In no way was any of this a disaster. Just a little less graceful then it could have been. However, it took a lot of trust between me and my coaches, and me and myself to not get overwhelmed and frustrated. I had to keep reminding myself that I knew what I was doing. To stay calm, be patient. If I’m not confident in my abilities as a rider, what right do I have to ask my horse to do what he’s doing? The trust I have in M&C was also a huge part in being able to remind myself that I was okay. I knew all along that they would never ask me to do something that they didn’t think I could do. Knowing that helped keep me confident that things were going to be okay. That’s all happening in about 5 seconds. I guarantee I’ve missed about a hundred other tiny things. These are habits that are automatic for us, made that way by years of practice. Experiences good and bad teaching us that even though all common sense says you are crazy, find a saner hobby, this is what we love doing- and while that is bound to come with some doubt occasionally, trust is what gets you trough. Some of those things we still may think about- but for the most part, I know for me anyway, my head is pretty quiet while I’m riding a course. Quiet of those thoughts anyway. At times, like tonight, I am reminding myself that I have trust in my horse, my coaches, and myself. That is the only thought I need to get the job done. Everything else follows. I don’t know if any of that made any sense. So good luck figuring that out, I’m too exhausted from that 90 minutes of course work to make much sense of anything right now.